Firstly though, lets sidetrack you. The last time I got to a baseball game, with good company, was in Kansas City, with my good friend Kate, playing the Boston Red Sox, on a glorious Sunday afternoon. In fact, in truth, at present, the only other person I have been to a baseball game with, is Kate! Fine, there were thirty, to forty thousand other people there, and at Fenway Park, which we had done previously, but you get my drift. To say that day that the staff at the Stadium did us proud, would be an understatement. Kate has a health issue, and couldnt get terribly comfortable in the seats we were sat in. Me, I was fine, but I’m pretty skinny, so…Anyway, on hearing of her issues, we got moved to different seats, and all was fine for the rest of the afternoon. A young man looked after us wonderfully, with food and drink, and we had a great time. Yes, you’ve guessed it, tonight sees the start of a series between Boston, and Kansas City, in Kansas City! Sadly, neither I, or Kate will be there, but it would be wonderful to think that someone at the stadium might see this, and at least think of us tonight. No, I cant remember who won the match we were at, lol! Oh, right, fine, Los Angeles. Yes, tonight sees the start of the ‘Freeway Series’, between the 2 LA teams. Well, I’m one of those who calls them the Anaheim Angels, but anyway, its the local rivalry. And yes, tonight, and again tomorrow, the games are in Dodgers Stadium. Which of course, as all shrewdies, and long term followers of this blog will know, is the last baseball stadium that I have visited, at time of writing. Oh, and did you know, between 1962, and 1965, the Angels played at Dodger Stadium, before moving to their own place. Fine, the video. The one team of the four that I dont support in any way, shape, or form. Yes, the Angels. Though this is of the morning, not the evening. 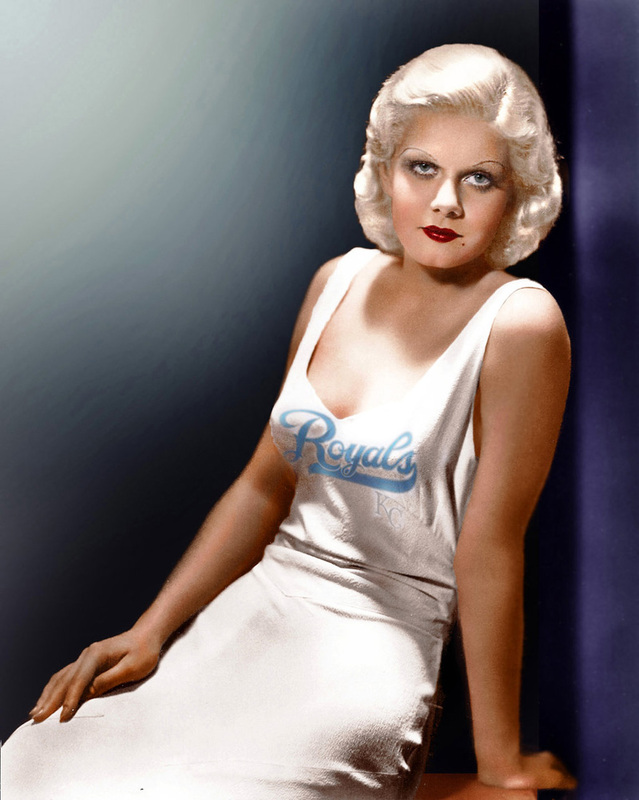 Jean Harlow really was a Royals fan! 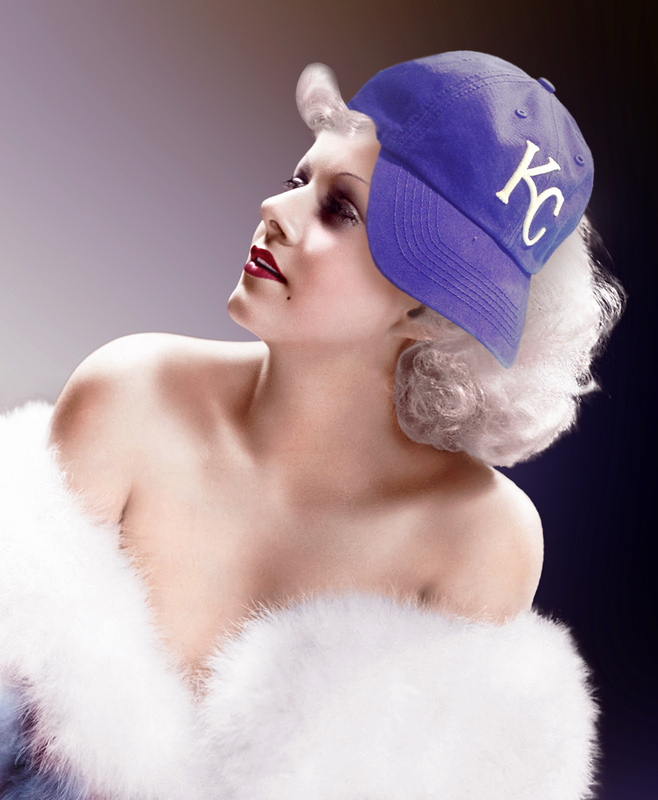 Author stevielounicksPosted on October 22, 2014 Categories Baseball, Jean Harlow, Journey, Kansas City, Kansas City Royals, San Francisco GiantsLeave a comment on Jean Harlow really was a Royals fan! The last couple of days, plus baseball! So fine, lets fill you in on the last couple of days, they’ve been something, to say the least. Started off with the interview yesterday, which had a pair of firsts, the first time I’ve worn a dress to work (top and slacks/top and skirt, like always!) due to the interview. Definitely the first time I’ve worn high heels at work, but they only lasted about an hour (around, and during the interview), as I changed back into my more comfortable shoes straight after, and due to events (early call to interview), I only put them on just before it started. Yes, it went well, or seemed so to me. The result, I wont know until the later stages of next week, but we will see…fingers crossed. Then. after work, just after 3.00 (short shift), I headed off to see the results of the photo shoot. I was told the pictures were good, and they were right, they were good, or even better! I only wish I could show you some, but until the email versions of a few arrive, you’ll just have to believe me. But as soon as I get them…you’ll see them. Hey, I want you to see them, they’re that good! Oh, and lastly, as promised, the baseball. Author stevielounicksPosted on October 15, 2014 Categories A Flock Of Seagulls, Baseball, Health, Jean Harlow, Job Interview, Kansas City, Kansas City Royals, Photo shootLeave a comment on The last couple of days, plus baseball! Five hours of baseball, pure heaven? And before you ask, no, I didnt stay up all night on Tuesday to watch the Royals and A’s play each other in the Baseball play offs, some of us have to go to work, you know! It started at 1 in the morning my time, for heaven’s sake! For the next hour (just under), I sat and watched, engrossed. Then in the top of the 12th innings, Oakland scored, I groaned, and feared the worst. Until the bottom of the 12th, where Kansas first tied things up, and then hit the winner! Lets just say that ‘Jean’ went off to work that morning, even at 6.20, with a bounce in her stride! I managed to see the ‘as live’ version last night, and it wasnt just the last hour that was quite something, the whole game was! 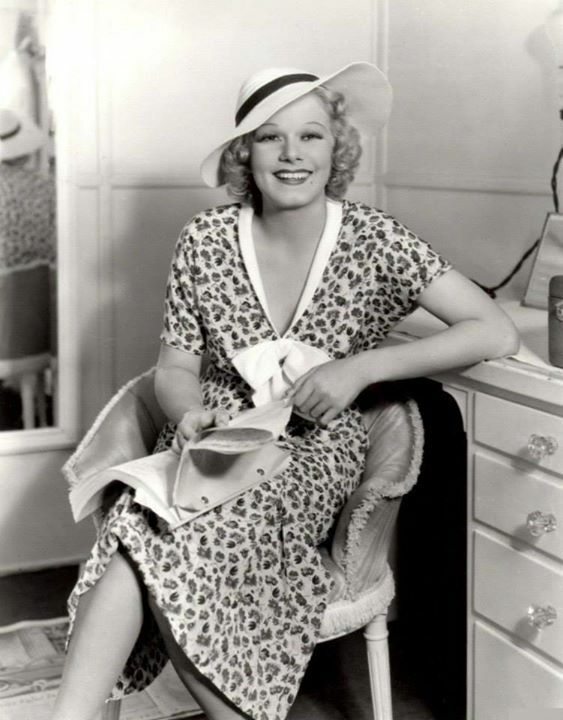 Oh, and of course, the perfect result, for Jean Harlow’s home town team. Irony is, like Jean, they have moved on to Los Angeles, if in name only, given the Angels actually play in Anaheim! Hopefully they will be as much of a success there as she was! Thanks, Royals, as has previously been said on here, the service you gave Kate and I on our visit, was very special, and we appreciated it. Hopefully, you can go a long way in this, possibly all the way. One interesting note, since 2006, when I started visiting North America twice a year, every year but one, I’ve seen a play off team in action live. This year was no exception. The bad news for Kansas, only once, have I seen a team that won the World Series. Ah well, hopefully time for the second one this year. Author stevielounicksPosted on October 2, 2014 Categories Baseball, Journey, Kansas City, Kansas City RoyalsLeave a comment on Five hours of baseball, pure heaven?